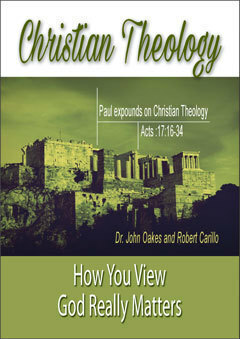 Part III in a series on World View and Christianity by John Oakes, PhD. Click on the icon. In the previous essays we considered the definition of world view and why the consideration of world view is important for the believer, and for the non-believer for that matter. I proposed a reasonable basis for considering a world view to be a "good" one. I then gave a very brief introduction to the Christian world view. In the second essay, we considered the world view of Naturalism or Scientific Materialism, the implications for humanity and whether it is a "good" world view. In this article we will look at the view of the world which is held more or less in common by peoples in the East (generally cultures in Asia) and their close cousin, the New Age Movement. The Buddhist idea has much in common with Hinduism, but of course much is different as well. The Buddha gave his followers a philosophy-the eight fold path for right living. The four "noble truths" of Buddha were; 1. Suffering is not getting what one wants. 2. The cause of suffering is desire which leads to rebirth. 3. The way to end suffering is to end desire, and 4. The way to the end of desire and of suffering is the eight-fold path. Buddha taught dispassion rather than compassion. The Jain and Sikh religions can be thought of as flavors of Hinduism. In fact, Sikhs tended to consider themselves a sect of Hinduism until fairly recent persecution and British tendency to define things from a Western perspective defined them as a separate religion. Both religions retain the multiple level cosmology, but reject the highly structured priestly caste system. Jainism is thoroughly pantheistic. Sikhism and Jaina include the belief that physical reality is an illusion (maya), reincarnation and a karmic thinking about "sin." As for Taoism, this Chinese-born Eastern religion, founded by Lao Tzu, retains a strong pantheistic view of the world. Enlightenment is gained by contemplating self and nature. Like Buddhism, we come into contact with our cosmic nature through non involvement in the world. Dispassion rather than compassion is the key to enlightenment. So, what is New Age religion? Is it palm reading? Channeling? Seances? Meditation? Reincarnation? Occultism? Gurus? Paganism? Gnosticism? Mother Goddess worship? Yes, all the above, but in its essence, it is Western pantheism. The common thread in the rather eclectic beliefs of New Agers is that you are God, I am God, we all are God! It is monism. God is everything and we are God. To quote a well-known New Age author, "Once we begin to see that we are all God, then I think the whole purpose of life is to re-own the God-likeness within us." Let us analyze this world view. Is it a "good" world view? In part one of this series, I proposed three questions we can use to ask whether a word view is a "good" one. The three questions were; 1. Is it true? 2. Does it successfully answer the important human questions? and 3. Are those who ascribe to this world made better people for having accepted it? Is the Eastern/New Age world view true? It will be very hard to give a fully satisfactory answer to this question in a short essay. Put it this way, the cosmology of the Eastern religions, with its endless repeating cycle of creations and destructions, and with its multiple levels of reality is not true. Material evidence for the big bang seems to preclude this cosmology. The second law of thermodynamics does not allow for a cyclical repeat of cosmic history. The eastern mind believes that this universe is not real. Some have tried to tie the twentieth century discovery of quantum mechanics, with its probabilistic view of physical reality and its discovery of the uncertainty principle as evidence that the Buddhist cosmology is valid. The problem is that science definitely assumes that the universe is real. In fact, the scientific materialist believes that the physical universe is the ONLY reality. Unlike the situation between science and Christian theology, there is an inherent and unresolvable conflict between science and Eastern cosmology. The physical world is very real. We will not help solve the problems in this world by pretending that it is not real (and that the problems themselves are therefore not real). It is debatable whether science can help settle the question of whether "God" is pantheistic and impersonal or theistic and personal. Nevertheless, we can ask what is the evidence supporting the central claims of Christianity and those of various Eastern religions. 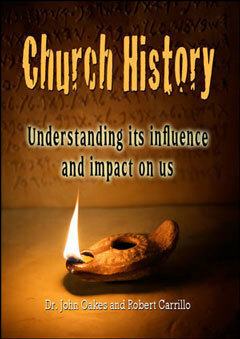 Christian belief has the advantage of scripture with fulfilled prophecy, verifiable historical accuracy and much more. The scripture of Eastern religions is entirely lacking in such logical/rational evidential support. In fact, one cannot even find apologists for these religions as a rule. Rational "evidence" seems to be nearly immaterial to these beliefs. 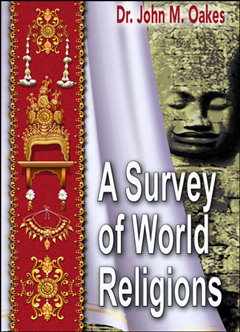 Does Eastern religion answer the important human questions? The answer is yes and no. It certainly does better here than scientific materialism. Eastern religion provides possible answers (whether right or wrong) to questions such as "What is ultimate reality?" "How did I get here and where am I going?" With other questions it is less successful. What is the nature of external reality-the world around us? The eastern believer says that it is not real. This is not helpful. What is the solution to the problem of evil? How do I become righteous? Eastern religion provides unhelpful answers. Suffering is not real, Sin does not exist (unless one allows for the idea of karma which has as much or more to do with the actions from supposed past lives as with our own life). Are the practitioners of Eastern religion or philosophy better people for holding to these beliefs? If we compare to atheism or agnosticism, the answer surely is yes. With their idea of karma and ideal of becoming one with the pantheistic universal soul, surely the devoted Buddhist or Hindu is more likely to be peaceful, patient and possessed of a sense of responsibility for the consequences of his or her actions than the average non-believer. However, there are some weaknesses here. Like the New Age philosophy tells its believers, sin, if it exists at all, is the lack of personal understanding that you are God. Hindu thought does include a measure of personal responsibility for sinful acts, but it also includes the possibility of "atoning" for sin in this life in some still future life. It also carries the responsibility for unknown past lives into the current incarnation. Surely this weakens the sense of personal responsibility for our own actions in this life, at least for the average believer. The Eastern world view has one looking inward, not outward. It inspires dispassion rather than compassion and disinvolvement in the world rather than involvement. I am not saying that Sikhs are completely unloving. Obviously there are many loving and giving Taoists. However, these religions teach that suffering is not real. I have traveled to India as well as Buddhist countries such as Cambodia and Thailand. It is not an accident that a majority of the organized benevolent programs in Hindu and Buddhist countries is done by Christian groups. This is not just an accident and it cannot be fully explained by the wealth in Western countries. The pattern of "Christian" benevolence is repeated in the small Christian communities in these countries. The native Christian groups do more than their share of meeting the needs and creating social justice in these countries. 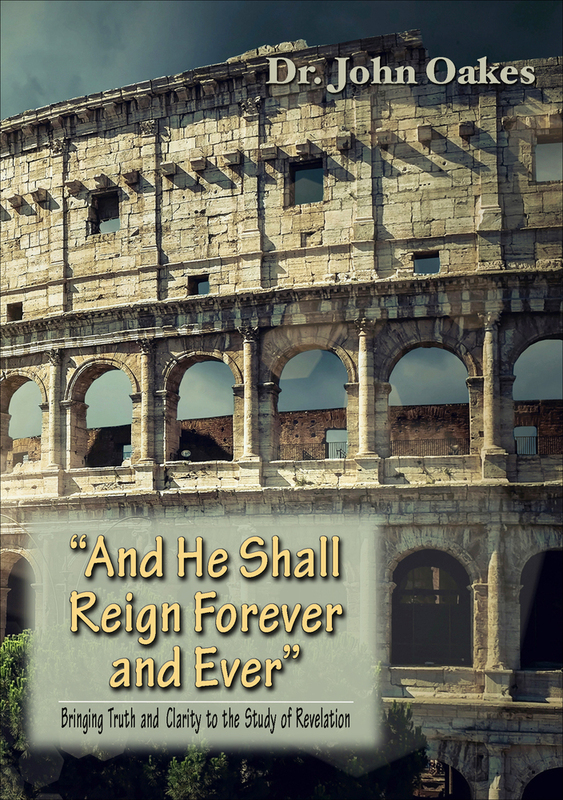 Julian "the Apostate," the pagan grandson of Constantine noted of the Christian in the Roman Empire, "Atheism (i.e. Christian faith) has been specially advanced through the loving service rendered to strangers, and through their care for the burial of the dead. It is a scandal that there is not a single Jew who is a beggar, and that the godless Galileans care not only for their own poor but for ours as well; while those who belong to us look in vain for the help that we should render them." This criticism of Julian’s own pagan religion and compliment of the Christians of his day apply quite well to the situation in countries where Eastern religion predominates. Why? Because these are bad people? No. To a great extent it is because of their world view. To summarize, the essence of the Eastern world view, and that of its many Western incarnations such as New Age believers is pantheism. It is a belief that the universe is filled up with an impersonal god-force, a spark of which is in us. The physical world is an illusion, sin is not real, and the human problem is to escape from the passions which trap us in these physical bodies. The reader will have to decide whether this world view is attractive, but from my perspective, this is a defective world view. It is defective, first of all, because it is not true. The evidential support for this view is not strong. In addition, I am not attracted to this world view because its essence is selfish. I am attracted to a view of the world which is passionate and which calls one to seek social justice and to show compassion for those less fortunate than us.